Jaelyn is a G/F from North Meck, we’ve offered. Son of my favorite all-time Niner, Curtis “slept on my couch in college once” Withers. Would be a fantastic legacy recruit for us to land. He’s going to be recruited at an extremely high level. He’s not nearly as physical as Curtis. Think of him as a KD-lite. He’s a tremendous talent, would love to see him come here and surpass some of his dads stats. He’s not nearly as physical as Curtis. Think of him as a KD-lite. Seeing guys like Withers and Brice Williams in Niner green would make me so happy. They belong here. Niners for life. [quote=“moss2k, post:1, topic:31085”]Jaelyn is a G/F from North Meck, we’ve offered. Son of my favorite all-time Niner, Curtis “slept on my couch in college once” Withers. Virginia, Virginia Tech, NC State, Clemson and Kansas St have offered, in addition to others. clt says these schools must monitor this chat page. [quote=“moss2k, post:5, topic:31085”]Virginia, Virginia Tech, NC State, Clemson and Kansas St have offered, in addition to others. why would any rational recruiter not? clt says we need a private page. Jaelyn Withers is not the kind of recruit that would fly under anyone’s radar. Also, Recruiting Pages are for registered members only. Only shot at him would be to bring back Lutz. clt says no one wants to go to UVA without sanchez around. Ole Miss did as well. clt says this is a big first test for the sanchize. 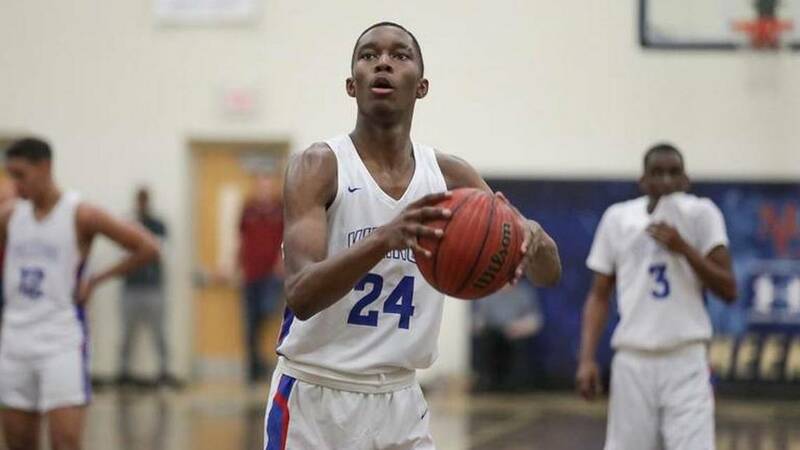 North Mecklenburg High boys' basketball standout Jae'Lyn Withers will begin play in the first NCAA Live Evaluation period this weekend. He's one of the nation's fastest-rising recruits. About 16 years ago, his father was in a similar position. He mostly talks about getting to the NBA, as he should with the amount of upside he has, but it’s hard to see how we are in a place to deliver the best path for that. If he doesn’t end up being good enough to start as a freshman at the big programs, then we have a shot. He wants to play in order to develop, not sit and wait. Will be interesting to see if he climbs the rankings even more after this evaluation period coming up. The higher he gets, the smaller our chances.